We Can Board & Train Your Dog! Our dog boarding is designed in a very special way. The boarding is right in our facility so it’s convenient for Toledo dog owners anywhere in the Northwest Ohio and Southeast Michigan area. Glass City K9 LLC Dog Boarding is not just a place for your dog to stay overnight like a kennel. But you can think of it as a 24 hour Dog Daycare! Consider our overnight dog boarding as more like a camping trip for your pet, where your canine can have fun with our training staff and interact with other dogs during playtime. And speaking of “playtime”, we board pups as well as full-grown, older dogs. And they ALL have a great time! We offer three different dog boarding programs. The first is the traditional boarding in which we board your K9 overnight for as many days you would like. This boarding for your pet is perfect if you just need a safe (and fun!) place for your canine friend to stay while you’re away on vacation, a business trip or maybe you’re having some work done to your house and you want to be sure your dog is in a safe space for a certain of time. Our location is convenient not only for dog owners in the Toledo but also for dog owners in Perrysburg, Maumee, Sylvania, Oregon and other locations in Northwest Ohio and Southeast Michigan. Glass City K9 LLC is the perfect place to board your dog. This boarding program is for existing clients of Glass City K9 LLC. This is just what it sounds like: it’s a training “tune-up”! Our dog trainers review the training your dog has already had during their training classes! This is a way to reinforce what your canine already has learned! Your dog gets trained while you are out of town. And our staff will cover whatever you need help with to get your pup up to speed! And our staff will already know your dog. This way, there’s a level of comfort for all staff and boarded dogs. And your K9 companion will be in a clean, safe place they already know. Your pooch will feel more comfortable by being in a safe, clean, familiar environment. Your dog will be able to rest, relax and have fun! This boarding is for a dog new to Glass City K9 LLC. In other words, those that have not been trained in any of our programs. This is structured so that your doggie stays with us for either one or two weeks and we put them through our popular dog training school. Yes, that’s right! And we provide Unlimited follow up lessons. 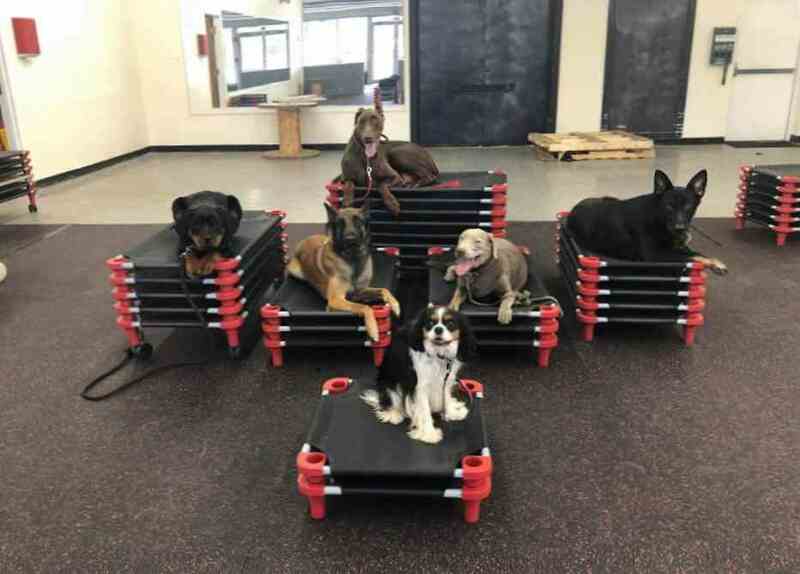 Our Board & Tune as well as our Board & Train program have rave reviews because in addition to having a safe place for your canine to stay, we train your dog while you are away. We set up overnight stays for your canine companion on a personalized basis. Call us to find out about our dog boarding rates and availability.